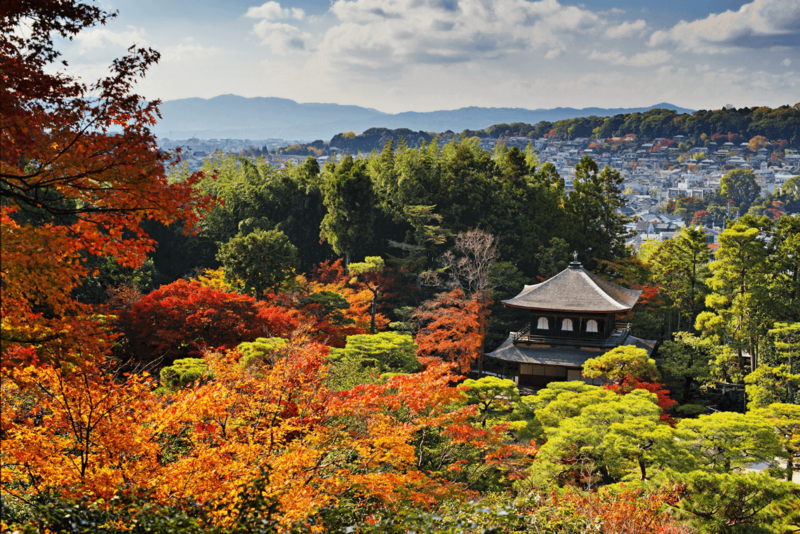 Kyoto is on everyone’s to-visit list, and for good reason. It’s home to hundreds of stunning temples, gorgeous gardens, and numerous alleyways concealing all manner of charms and surprises. The former imperial capital has been at the heart of cultural developments in Japan for centuries, and though Tokyo tends to take center stage these days, Kyoto is still considered by many to be the spiritual heart of Japanese culture. I was lucky enough to live there for several years, and even having moved to the big city now, Kyoto still holds a special place in my heart – and stomach. It is a cliché by now to say this, but the water in Kyoto is incredibly clean and tasty, and consequently, so is its cuisine. Exquisitely-prepared fine dining can be found everywhere in Japan, and yet there’s something so ineffable about the food in Kyoto. I’m almost ashamed to say that I can’t put my finger on it. However, all this means is that you should just go and try it for yourself. Here’s what you shouldn’t miss if you’re planning a gastronomic trip to Kyoto. Read more about the ancient capital: what to do if you have 3 days in Kyoto. Gastronomes flock to Kyoto for kaiseki, and for good reason. Tokyo has its fair share of Michelin-starred kaiseki restaurants, but there’s still nothing like experiencing it in the city where this style of dining first evolved. From hallowed stalwarts such as Kikunoi and Kitcho to newer restaurants like Owatari and Tominokoji Yamagishi to more accessible ones like Giro Giro Hitoshina, there’s a kaiseki restaurant for everyone in Kyoto. Broadly speaking, kaiseki can refer to tea kaiseki or formal kaiseki. Tea kaiseki is a light meal eaten during a formal tea invitation. Formal kaiseki – henceforth referred to as kaiseki – was influenced by and developed from tea kaiseki, and is essentially a multi-course parade of small dishes served with sake. It’s from this style of eating that modern tasting menus derive their form. Where tea kaiseki is simple and light, rarely overshadowing the tea, formal kaiseki is primarily focused on the enjoyment of food and sake. For serious lovers of Japanese cuisine, it is one of the highlights of eating in Kyoto. Like most fine-dining restaurants, much of the kaiseki experience is about atmosphere. A classic kaiseki meal can feel almost ceremonial. You might be seated in a private tatami-mat room, with softly-spoken kimono-clad wait staff who gracefully shuffle in and out of the room on their knees. Diners may feel compelled to speak in hushed tones. Every single detail in the meal has been considered, from the 18th century ceramic pickle dish to the lidded lacquer bowl containing your clear, yuzu-scented broth. As you can imagine, the slow pace of a kaiseki dinner can either be entirely magical or torturous. It’s not for everybody! Eating kaiseki is not like eating at Alinea. It’s not about clever molecular gastronomy – it’s about appreciating the craftsmanship behind the smallest details over the several-hour eating journey. Most good kaiseki doesn’t necessarily set out to impress or wow with bold flavours either, so the subtle flavours can be lost on diners expecting something more showy. But if you love food that tastes like a Platonic version of itself, definitely make a beeline for your next kaiseki meal. Centuries before the hippie vegan movement of the 60s, there was shojin ryori. This is best explained as Zen temple vegetarian cuisine. It was introduced to Japan from China around the 13th century by a monk named Dogen, who would go on to leave Kyoto to found the major Zen temple Eihei-ji. Buddhist precepts forbid the killing of animals for human consumption, and so shojin ryori is entirely plant-based, revolving around soybean-based foods, fresh vegetables, seeds and nuts, and wild mountain plants. Restrictions on the ingredients used in shojin ryori unleashed a creative flowering in cooking techniques – to make vegetarian food a little less boring, bluntly put – which had a lasting influence on the development of kaiseki cuisine mentioned above. Seasonings tend to be simple and restrained. With touches of shoyu, miso, sugar, rice wine and kelp stock, the flavour of ingredients themselves shines through. Shojin ryori is said to be based on the principle of ichiju sansai – the notion of one soup and three sides, plus rice and pickles. In practice, there can be far more than three side dishes at shojin ryori restaurants! Having this variety reduces palate fatigue, and allows you to enjoy the breadth and depth of the seasons. It can also feel quite elaborate and lavish, but as the dishes are plant-based and low on oil, they won’t leave you feeling bloated and heavy. I couldn’t eat like this all the time – sometimes I need a hunk of braised pork belly. It does, however, makes me appreciate the possibilities inherent in a plant-based diet. I love Shigetsu in Arashiyama’s Tenryuji Temple, which comes recommended by the Bib Gourmand Guide for Kyoto. Every component in the meal is exquisite and well thought out. Their soup is typically a suri-nagashi, or creamy veloute of milled vegetables thinned with stock, and changes with the seasons – a chilled gourd soup for summer, for instance, and soul-warming pumpkin for the autumn. Their nasu dengaku is always divine: eggplant brushed with a savory-sweet miso sauce, and grilled until soft and melting in your mouth. Make a reservation now and be blown away. While not in Kyoto, another place to eat shojin ryori is at the temple on Mt. Haguro in Yamagata Prefecture, where you’ll have to climb 2000 steps to reach the top. (You could taxi your way there, but the climb is infinitely more rewarding and atmospheric.) You’ll need to stay the night. These are pilgrim lodgings, with decidedly un-fancy rooms, but it’ll be among one of the best vegetarian dinners you’ll have in Japan. Read more about shukubo (temple lodgings) on Mount Koya. A word to the wise: because of its heavy reliance on products such as miso, tofu, and wheat gluten, shojin ryori is unfortunately not for the soy and gluten intolerant. Oftentimes it will be difficult to find a shojin ryori restaurant willing and able to cater to these dietary requirements. Egg and dairy products are not traditionally used either, making it a vegan-friendly cuisine, but you may wish to check with restaurant staff beforehand to ensure that this is definitely the case. 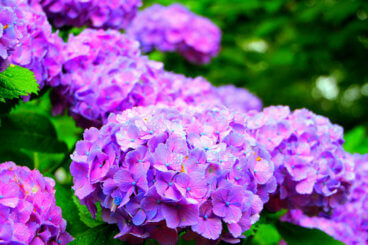 Read more about traveling around Japan with special dietary requirements. Kyoto is home to many delicious foods, but chief among them are tofu and yuba. These are not the cardboard boxes of tofu sold in North American or European supermarkets, which are, frankly, disgusting. If you’ve grown up eating fresh tofu in Asia, it is near impossible to touch that stuff. Entire books are dedicated to singing the praises of tofu, and for good reason. Once you’ve tried the real stuff, you’ll be a convert for life. Tofu begins with clean water and quality soybeans, and Kyoto has no shortage of both. It’s basically coagulated soy milk – which sounds unappetizing, but stay with me! Good tofu has a clean, bright soy flavor, and the soy milk it’s made from is creamy and ever so slightly viscous, with a weight and presence not unlike unpasteurized Jersey milk. Yuba, on the other hand, is soy milk skin. Freshly made, it’s blissfully creamy and comforting. You can watch yuba being made in the windows of Inari along the main street of Arashiyama. Vats of soy milk simmer away, and as the proteins coagulate from the heat, a skin forms atop, much like the skin on a mug of hot chocolate. From time to time, they run a metal dowel over the surface of the milk, deftly picking up delicate sheets of soymilk skin. To the uninitiated, tofu and yuba can seem tasteless, but here are a few suggestions to enjoying them. One is, obviously, to eat freshly-made tofu and yuba. Another trick is to eat them when your palate isn’t yet fatigued by other heavily-sauced, strongly-flavored dishes. At an izakaya, for instance, you’ll want to eat lighter-flavored tofu dishes around the beginning of the meal, especially if they’re the delicate, custardy kind. Otherwise, the delicate flavors can be lost in the cacophony of the other dishes. If you’re into clean eating, you’ll love yudofu, which is the culinary equivalent of a yoga session. 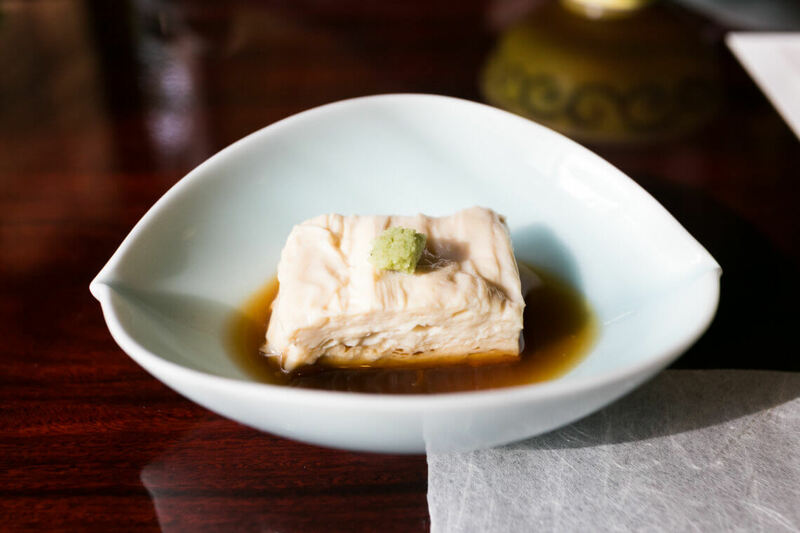 You’ll eat blocks of custardy white tofu simmered in a light kelp stock, seasoning it with a tangy ponzu sauce and a little ginger. As with many foods in Asia, appreciating a variety of textures is key to enjoying tofu. Tofu textures run the gamut from smooth and custardy to firm to spongy. You can eat it fresh, deep-fried, braised, grilled, cold, hot – it’s incredibly fun to try it all to see what you like. An easy way to do this is to eat at a tofu restaurant. Shoraian in Arashiyama is popular, and it turns out a pretty decent multi-course tofu meal – beautifully-presented dishes in equally lovely surroundings make it a memorable meal. Be warned that they don’t usually cater to vegetarians due to their use of fish-based dashi stock. For a yuba experience, have lunch or dinner at Seike Yuba, which is one of the few restaurants that does a yuba-themed tasting menu. It is exquisite and is one of my favourite places to take visitors in Kyoto for a fancy but affordable meal. Plus, with advance warning, they are happy to cater to vegetarians. Outside of restaurant eating, it’s also fun to visit a tofu specialist shop just to see the varieties on offer. Traditional tofu shops are a dying breed, and deserve all the love and support they can get. While living in Kyoto, I loved stopping by Kinoshita-san’s tofu shop in the Demachi shopping arcade to pick up a small container of their sukui yuba – with a little dashi-spiked soy sauce poured over, it’s like eating a savory, creamy pudding. Eat fresh and chilled, or regret it the next day. Lastly, an unusual but very Kyoto-esque place you should visit is Towzen Ramen, previously known as Mamezen. Taro-san serves up one of the only soy milk ramen bowls in town, and I’ve been returning time and again to his shop over the past five years for that delicious, creamy noodle fix. It is also, fortuitously for vegans, completely free of animal products. Thanks to Starbucks (not to mention KitKat! ), matcha lattes and frappuccinos have become global staples. But for the real deal, there’s still no better place than Kyoto, the historical and cultural home of Japanese tea ceremony. Though the practice of consuming powdered tea dates to the Song Dynasty China, matcha is the only extant style of tea where one imbibes the entire leaf. If brewed tea is good for you, theoretically, consuming the entire leaf should be even better! Whole tea leaves are rinsed, spun dry, steamed – to prevent oxidization – dried, and ground into emerald-green dust. It’s a labour-intensive product, and priced accordingly. It also goes stale very quickly once exposed to air and light, so any matcha you buy should be stored in a metal container in the freezer and consumed within a fortnight of opening. Matcha in tea ceremony is served in two ways – usucha, or thin tea; and koicha, or thick tea. The former is what tea people think of as “thin,” with the mouthfeel and consistency of a cappuccino. It’s an emulsion of green tea powder and hot water, so one cannot linger too long as it will eventually separate. Koicha is a vivid forest green, almost paste-like in its viscosity. It’s rare to see this style of tea outside of a formal invitation, as it’s not the most accessible way to drink matcha for the layperson – it can be overwhelming and bitter for those unused to drinking matcha. I have been lucky enough to experience tea regularly in Kyoto, and I never tire of the theatrical aspect of preparing matcha. Though tea ceremony is notoriously rigid, it’s utterly magical with the right tea master. The air and light seem to slow down in a tearoom, and inside, any nerves or anxiety melt away. Listening to the water gently roiling and shuddering in the iron brazier, one hears Sen no Rikyu’s “soughing of the pines” in the kettle. He adds a scoop of water into the ceramic bowl, and – this being the Urasenke style – begins whisking at the speed of tea. His hands are a blur. The sound of the tea changes as he whisks, beginning with the sound of waterfalls, softening to a froth as the matcha transforms into a foamy-capped emulsion. In this style of usucha, the matcha has a foamy, almost cappuccino-like cap. Each cup of tea is different depending on the matcha and who made it. At this teahouse, it is always smooth, grassy, and creamy, with hints of bright lemon and summer sun lingering on your tongue. With many practitioners in town offering experiences, a tea session in Kyoto is unmissable. Afterwards, pick up some tea from Maruyama Koen or Horaido. While you’re in town, a side trip to Uji – the centre of matcha production – should also be on the cards! If straight matcha isn’t your cup of tea, there’s a whole world of matcha-flavoured foods to try in the city. A small sampling: soft-serve ice cream, shaved ice, parfaits, cheesecake. The world is your matcha-flavoured cream puff. Read more about tea in Japan. Some things are better together, like fried chicken and beer or milk and cookies. 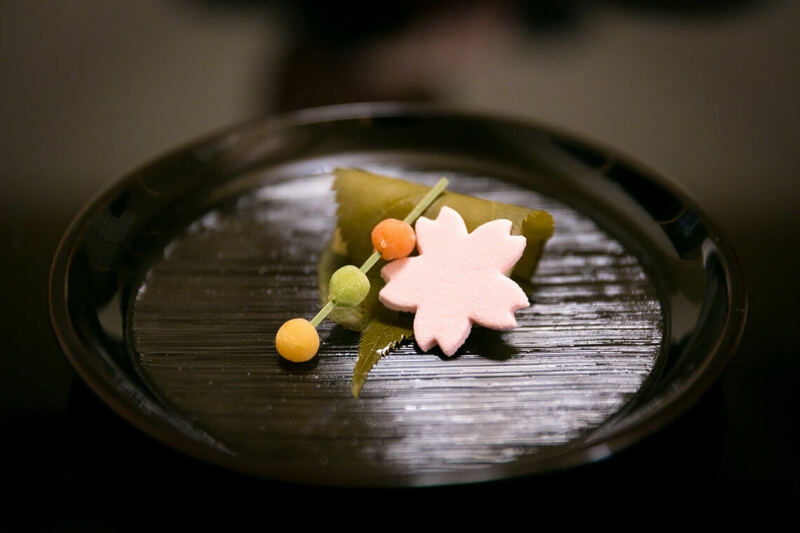 Matcha finds its soulmate in wagashi, traditional Japanese sweets. These are plant-based confections crafted primarily from beans, sugar, rice flour, and seaweed-derived gelatin such as agar-agar or kanten; sometimes including fruit such as persimmons, chestnuts, or sweet potatoes. Traditional flavorings include kinako (roasted soy nut powder), kuromitsu (raw brown sugar), and matcha. It’s an oddly short ingredient list, and yet there’s an infinite number of permutations possible. With hundreds of wagashi shops in Kyoto and a vast sea of sweets to choose from, the real problem is figuring out where to start. To begin with, try a mochi daifuku. This is your starter wagashi of pliant rice flour dough encasing a smooth, sweet red bean paste. The best of these are freshly made, and yield to the slightest pressure of your fingertips. Variations abound. For instance, ichigo daifuku contains red bean paste and a whole strawberry. Some are filled with custard; I recently ate a chocolate mint daifuku from 7-11, which I feel was a misguided product decision. One of the best daifuku to ever cross my lips had two fillings – a decidedly adult-tasting coffee paste alongside a generous lick of lightly whipped cream, wrapped with delicate coffee-flavored mochi. In spring, try sakuramochi (cherry blossom mochi). A sticky dough of pink rice conceals a red bean centre, the sweetness of it all offset by the salt-pickled cherry blossom atop. Or have a skewer of hanami dango, “flower-viewing” dumplings of pink, white, and green. Its slightly savory counterpart is mitarashi dango, chewy dumplings on a stick brushed with an addictive, sweet-salty shoyu-spiked sauce. Futaba, a wagashi shop at Demachi Shotengai, is famous for its mamemochi (bean mochi) and justifiably so. The slight saltiness of the adzuki beans here is unbeatable. In tea ceremony, wagashi are generally classified as dry or moist sweets. Dry sweets are usually small and sugary, and dissolve in your mouth. As the name suggests, they keep well. Moist sweets are freshly-made and should be eaten within the day. An integral aspect of wagashi, especially those used in tea ceremony, is their names. These often refer to a moment in Japanese literature or express a seasonal sentiment. A sweet I recently ate in the first week of October was named “voice of autumn.” At this point, the heat of summer had mostly faded, but autumn hadn’t quite made its way to us. It was as though we could just hear it coming around the corner with the first breezes, hence the name! Frankly speaking, I’m not the hugest fan of red bean paste, and find it a little too cloying in most wagashi applications. If you’re anything like me, though, there’s a good number of wagashi without anko to enjoy. An example is warabimochi – lightly sweet, translucent cubes or slabs of wobbly bracken starch jelly dusted with roasted soy nut powder. Lovers of jiggly textures should seek this out. Wagashi that use white bean paste as a filling are delicious, especially when the paste is mixed with a little white miso for that savory edge. I also love wagashi that borrows non-Japanese flavors or techniques. For instance, dorayaki – a castella pancake with a filling – filled with custard or matcha cream has my name written all over it. If this list so far is anything to go by, eating out in Kyoto sounds like a never-ending parade of la-di-da dining. But Kyoto (like its casual neighbor Osaka) ain’t just about highfalutin’ eating – it’s also home to obanzai ryori. Dining out in Japan tends to be carb and protein-heavy, and it can be difficult to find vegetable dishes, which is precisely why I love obanzai. Think of it as home-style Kyoto cooking, with a heavy emphasis on vegetables and local ingredients. It’s all about simple but flavorful dishes like simmered taro balls, stir-fried greens, crunchy lotus slices tossed with pork slices, warming stews. If I didn’t love cooking I would probably eat at obanzai restaurants all the time for my green fix. Central to obanzai is the notion of no-waste dining. The idea is to use all parts of the vegetable, including those that would often otherwise be discarded. It’s the kind of cooking that’s appeals to my sensibilities, especially in a time when eating local and head-to-tail is gaining ground. Omuraya was my neighborhood go-to for obanzai dining; and for a slightly more refined obanzai experience, try Menami on Kiyamachi-dori. Obanzai isn’t fine dining. But it is delicious, nourishing, and soulful. Your body will thank you for it.